As I write Christmas cards for my siblings, I find myself wondering how is it possible that time can go by so quickly?! It seems like if I want to know how anybody’s life is going, I need to make an appointment with them. Does that mean I’m getting old? The older I get, the more I realize what the holidays represent. I no longer have the luxury of living with my siblings and being up to date with their lives. Life is moving way too fast! For me, this holiday season represents reconnecting with my siblings. 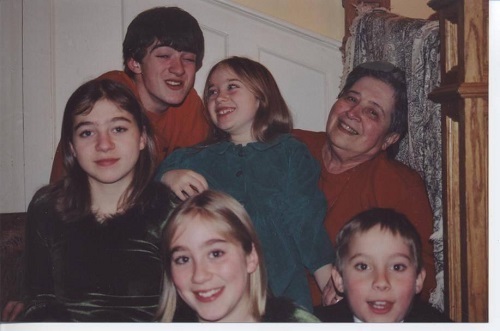 This is a photo from Christmas years ago with me, my siblings, and grandmother. This time of year is meant to remind us to think of others and not ourselves. What are you doing this Christmas break? What is something that you can do to give to those around you this time of year?